Our partner for 15 years, Orta Andalou produces the premium denim which has made our jeans some of your favorites. We asked Gulfem Santo, Orta’s Chief of Marketing, to give us an inside look at one of the most innovative denim mills in the industry. Read on for upcoming denim trends and how to care for your jeans in a way that cares for the environment, too. BR: Orta started as a spinning & weaving company in 1953, and switched to denim manufacturing in 1985. How else has the company changed and grown? 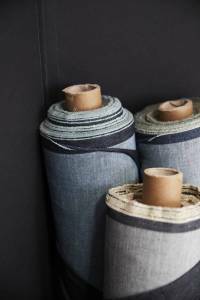 Since its inception, Orta has been weaving a denim heritage passed from generation to generation. 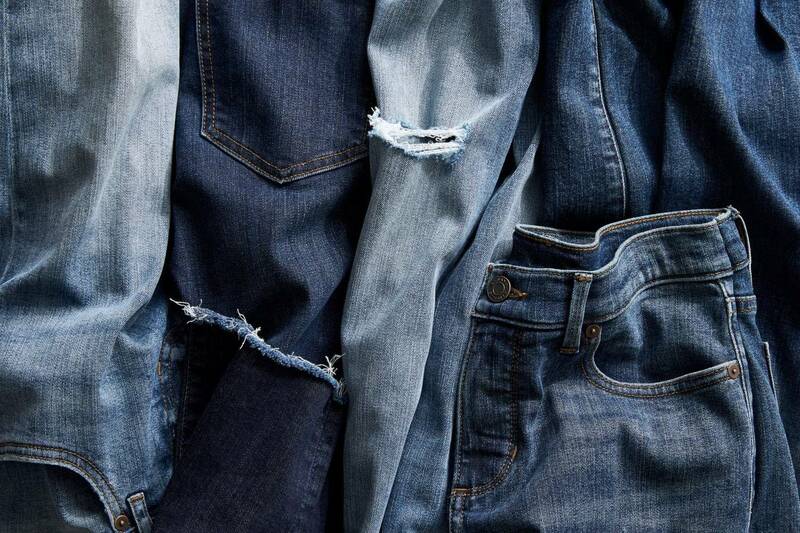 It now produces over 60 million meters of denim in its Turkey and Bahrain factories and is creating a platform for leading manufacturers to step up and reclaim a denim industry where more aesthetics leads to more ethics. Transparency, commitment and trustworthiness are the key elements of Orta’s philosophy. Our aim is to create a more robust denim ecosystem where ART (DESIGN) MEETS TECHNOLOGY MEETS ETHICS for new infinite possibilities of denim today and tomorrow. We’re making a bold commitment to be a leader in transforming the denim industry with the most advanced technologies. As the world leaders in premium, quality denim, Orta aims to lead the industry towards its own Denim 4.0, bypassing the small steps of just being a little bit more sustainable and leading with more advanced technologies. BR: What are some practices Orta does to make their denim more sustainable? Orta has always been at the forefront of sustainable change. Orta Blu, our sustainability platform, was founded in 2010. We developed a model to summarize our focus into 3 categories: Process, Product & Purpose. Process involves energy, chemical, emission, water, waste, production management as well as stakeholders management. For Product, we take process management and raw material management into account. We consider Purpose to be labor and social missions. From the beginning, we’ve been a partner of the Alliance for Responsible Denim—an Amsterdam-based initiative that brings together collective denim brands to work together to make denim more sustainable with a focus on post-consumer recycled denim. Orta also takes part in the Better Cotton Initiative. In 2009, Orta used 3% of organic cotton in its production without quoting an extra cost. Currently, Orta uses around 15% better cotton in all its production. Our Indigo Flow process uses up to 70% less water and the wastewater is cleaner with 60% less biochemical and chemical oxygen demand. Embedding Indigo Flow into our manufacturing standards is our first step towards disrupting the denim industry and leapfrogging us to a Denim 4.0! Orta has also adopted an energy management team. All members are trained by United Nations Industrial Development Organization consultants—UN’s specialized agency promoting industrial development for poverty reduction, globalization & environmental sustainability. The team focuses on natural gas, electricity & thermal energy consumption with regards to procurement of raw materials, products, machinery and the system as well as consumption of resources, energy and materials. And finally, Orta has partnered with Circle Economy since 2016. We’ve expanded our partnership with an upcoming project called Circle Fashion Tool which is a decision-making tool built to help brands evaluate the end of life options and circular opportunities for their own textile excess and weigh the practical implications and environmental and economic impacts between scenarios. 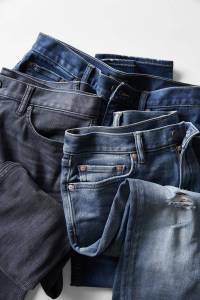 BR: What aspects of craftsmanship separate premium denim from standard denim? At Orta, we define premium denim as the conscious coupling of value and great style. We develop our entire collection keeping art, sustainability and technology in mind. Our development process starts first with the sourcing of premium raw materials, then by keeping in mind timeless heritage fabrics and craftsmanship and finally producing them with state-of-the-art spinning, dyeing, weaving and finishing technologies. 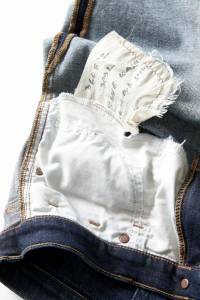 BR: Denim trends come and go. What are some of the most common requests you see as a denim manufacturer? Denim has always been and will always be the fabric of change representing different periods regardless of trends, but it’s also undeniably influenced by fashion trends. Performance has been the most remarkable one throughout the seasons. We’ve also seen an increasing interest in functional fabrics with the outdoor apparel movement. Laundry trends and techniques are also changing rapidly which moves the needle on fabric dyeing and finishing methods as well. BR: What are some future trends you anticipate in the denim industry? 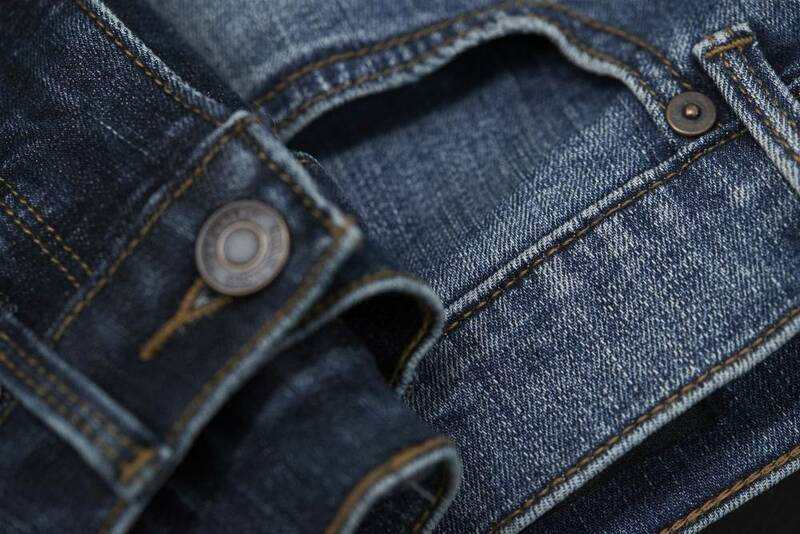 Sustainability and transparency will be the main trend for the denim industry with the increasing awareness from the consumer side. Therefore; Orta, starting from Spring 2019 collection, developed every single fabric with our sustainable Indigo Flow dyeing process. In addition, starting from Fall 2019 collection, ORTA fabrics are providing full transparency through Life Cycle Assessment, which quantifies the environmental performance of a product taking the complete life cycle into account. Every fabric in the Orta collection comes with a specific QR code that calculates impact data of our products and we aim to incorporate labels with information on water use, energy and carbon footprint. BR: How do you recommend caring for denim? Use your washing machine efficiently: Using full loads in your washing machine and washing clothes less will not just reduce the amount on your water bill, also will extend the life of your garments. Buy wisely, care more: The global textile consumption increased 100% since 2000. It is expected to raise 3 times more by 2050. The better care we take our clothes, the longer and better we live with them. Invest in quality: An affordable yet non-sustainable garment will cost you more in long-term. Pay attention to how your product is made and how long the garment will last. Invest in clothing that saves you money and produces less waste. Use air instead of tumble: Using natural resources like air and sunlight to dry your clothes will both save you money and energy. This way, your garment will also void the possibility of abrasion during tumble drying. Buy well, produce less waste: Consumers started disposing garments twice as quickly between 2000-2014. The average American throws away about $100 worth of clothing, shoes and home textiles each year. Don’t buy what you won’t use over time. 4R—Reduce, Repair, Reuse, Recycle: More than 1M tons of textiles are thrown away every year instead of finding a new and better use for them. According to the Waste and Resources Action Programme, you could reduce a garment’s carbon waste & water footprints by around 20-30% by extending its life by 9 months. Avoid dry cleaning and take advantage of technology: Dry cleaning process uses chemicals to clean clothes. A modern washer can save 80% more energy compared to a model that is five years old. BR: Can you tell us more about the denim in our Zero Gravity and Luxe Traveler jeans? Zero Gravity was created to give the wearer total comfort and the freedom of movement without sacrificing authenticity. It features our “Alchemy” finishing, which adds softness as well as anti-pilling and wrinkle-free properties. Its bi-stretch fabric does not restrict movement, so it’s perfect for someone on-the-go who still wants to look sharp. The objective of the Luxe Traveler was to have an authentic premium jean with comfort and durability. TENCEL™ gives the Luxe Traveler its ultra-soft feel, and its 3×1 construction makes it less restrictive than your standard denim. The Luxe Traveler also features our “Alchemy” finishing, plus an additional “Cashmere” finishing which makes the backside of the fabric even softer. Ready to update your denim style? Discover our new Traveler jeans, shop Zero Gravity denim or find your perfect fit.